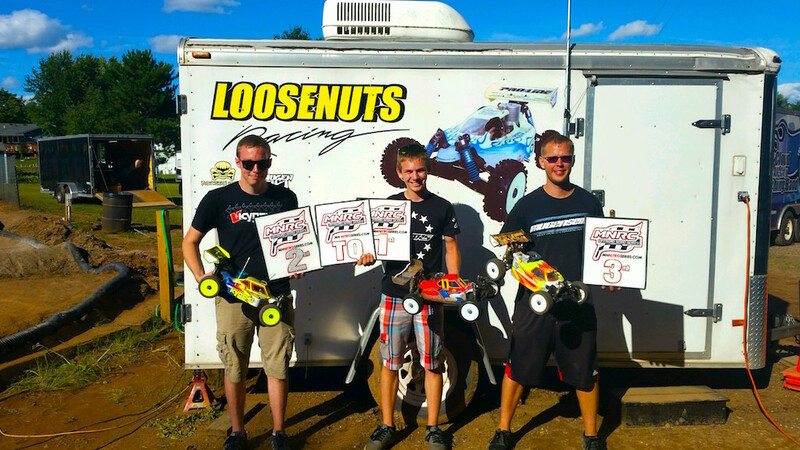 "Had a great day racing the 4th round of the N.I.S.S. held at Summit RC. 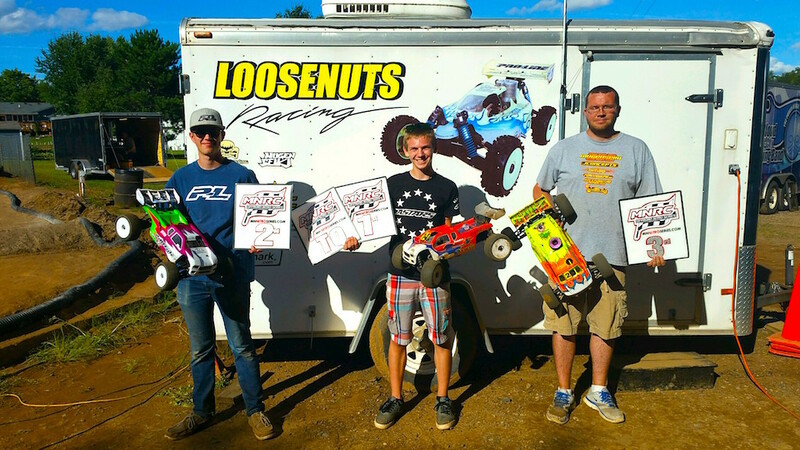 The day didn't start as well as I'd hoped and again had trouble with the second ebuggy qualifier. Although I had a good rd 1 finishing second, my rd 2 15th left me starting 8th in the A main. Figured, at least I made it and now I get to use all the practicing for 'this kind of moment" skillz I had done in the past. Well, my Tekno EB48.3 had a perfect setup on AKA ZIPPS. I used this along with my TRAKPOWER 100C Lipo horsepower to go from 8th to 3rd on the first lap and from there to first on the second lap. Wasn't without some carefull manuvering and a little racer luck. From there on I was "checked out gone" putting the entire field a lap down in the first 5 minutes ish.. Ya.. My buggy was THAT good !! Fastest laps of the day and only 2 small bobbles the entire 10 minutes. RIPPIN !! SC 4x4 was a lot tougher day. 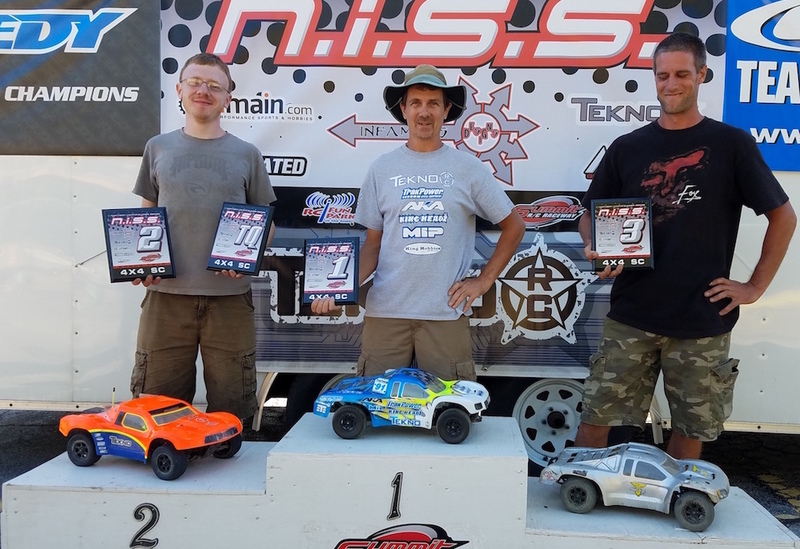 Swapped qual rd wins with Preston Flint and even though my SCT410.3 was super dialed on AKA DEJA-VUE's and super fast with my TRAKPOWER 100C lipo, the wind would prove to be our racing variable. I managed a second place start position for the A-main and again, the wind would play with us as we raced. It started first lap when I chose to double single the triple and Preston got a gap that would take me 3/4 of the 8 minute main to close. At about that time a mighty breeze came and wrecked his plan for a victory. I drove cautious and conservative for the remainder of the race with Preston and Troy not to far behind. Another fun day at the RC track in the books. Thanks to all the good friends, track crew and Tony Lidgard for puttin on the NISS." "The first two days at the track were very rainy and ended up not running till sunday. When Sunday came up I ended up getting about 15 minutes of practice going into the one round of qualifying then into mains. In that one and only round of qualifying I ran smooth and clean in ebuggy because of a suspicious noise coming from the car and ended up taking the TQ anyway. In truck I was pushing hard and made a few mistakes but still took that TQ by around 14 seconds. 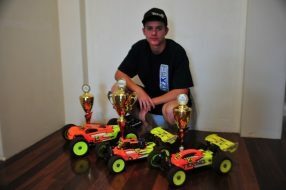 Then in Nitro Buggy I was not having the best of luck but on the last lap I jumped from 3rd to 1st taking the win and TQ. Going into the mains I was confident with E Buggy and Truggy but not so much in Nitro Buggy. 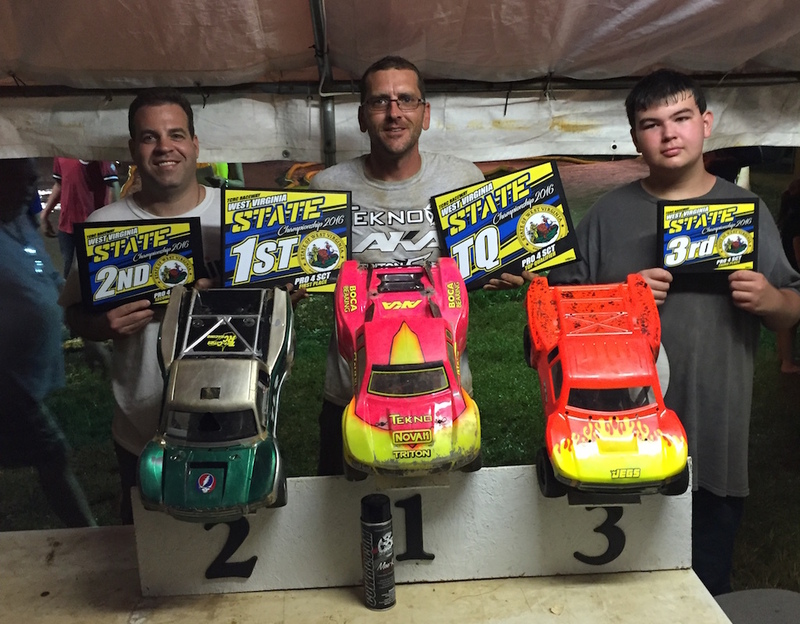 In the first main of E Buggy I battled with Tony Sletten at the start but then would pull away and take the win. In the 2nd main of E Buggy Tony and I battled again but I put a 5 second lead between us then drove safe to the end with no problem and take the win and clench that title of that class two races early. In Truggy I was very confident but made a few mistakes early and found a few lines that I would use later in the day in Buggy and the second main of E Buggy when I found thsee new lines I was able to carry way more speed onto the straight and pick up 2 or 3 tenths a lap making the drive easier and more forgiving and allowing to win by a lap and take the win and the title of Truggy along with E Buggy. In Nitro buggy I had a hard time in the center of the corner compared to the other two cars and this is what made me fall almost 15 seconds back to the leader but at that time we were only half way through so I put my head down and changed up my throttle inputs and lines to make the car easier to handle. 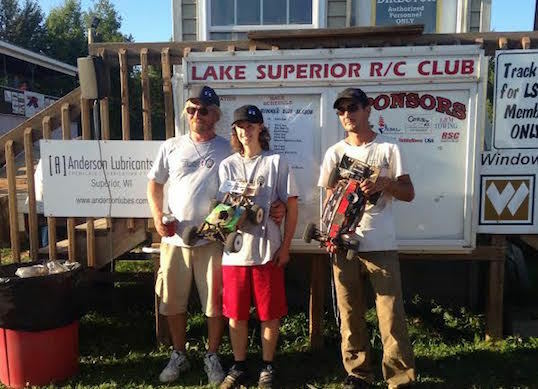 With how I was able to start clicking off laps I ran down Kyle Holmberg with 5 minutes left to go and would never look back finishing with a 8 plus second lead and the third win and final title of the 2016 mnrc series." 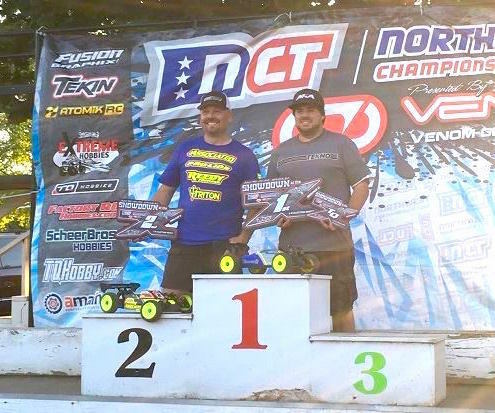 "The annual West Virginia State Championship race was held at Tri-Cities RC outside Huntington WV. A great turnout despite an ominous forecast leading up to the event. I successfully defended two classes from the previous year." 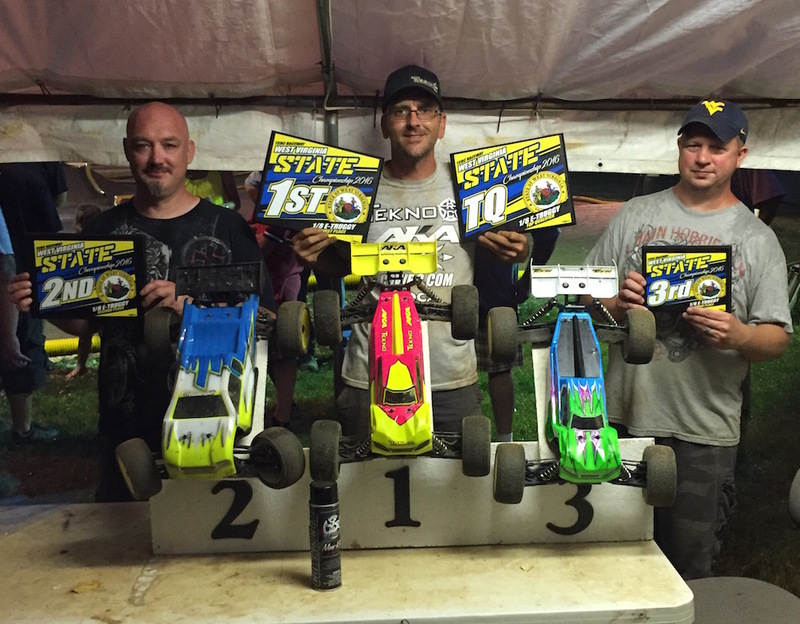 "Hillside Raceway in Deerfield, NH kicked off the Fall series, which will run into October with several open weeks, allowing most to make it. The turnout has continued to increase over the season, now with a regular 80+ showing up and almost 90 for this series. The track was great, though a bit green, with a new track change done the day prior during "camp at the track" weekend that completely changed the layout and flow. 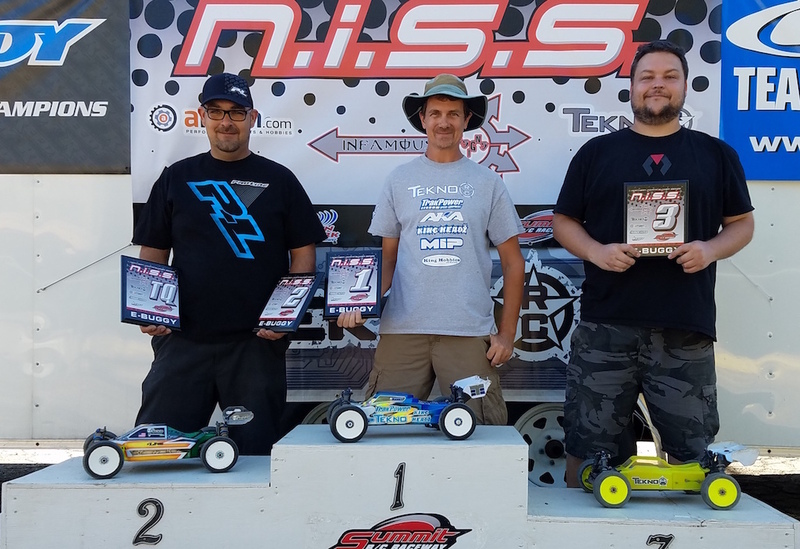 Amid some stiff competition, driving stayed clean and I was able to take home the TQ and win with the Tekno Electric Trifecta: EB48.3, ET48.3, and SCT410.3. 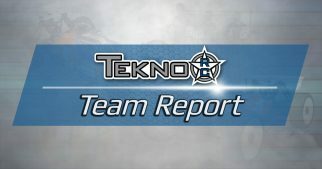 Special thanks to Tekno for the great vehicles, SMC for the reliable power, my wife for allowing me to follow my passion, Jesus Christ for saving me and making me all that I am, and to all the weekly racers that keep tracks going for everybody to enjoy. 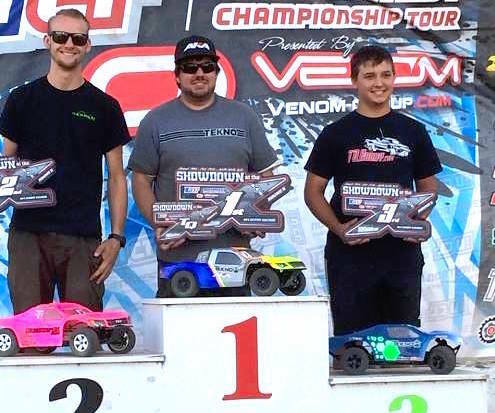 "This past weekend was Round #5 of the Northwest Championship Tour held in Walla Walla, WA. The race attracted just over 200 entries from all over the Pacific NW. The weather was hot and the racing was hotter on the loose, bumpy, and very flowing and fun track. 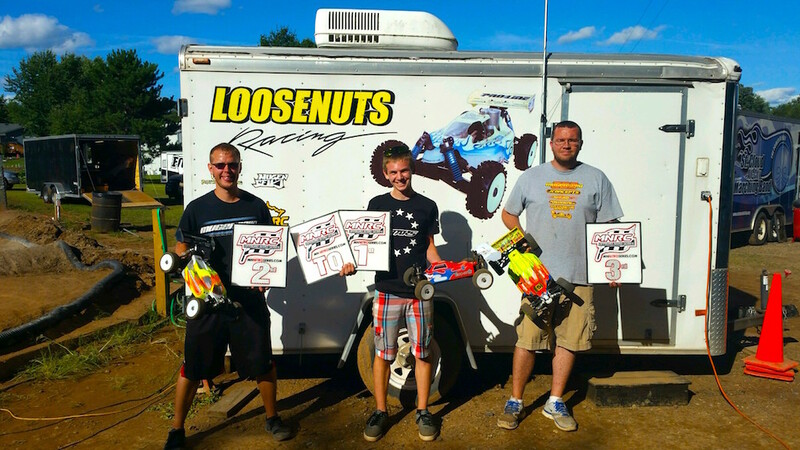 In Open E-Buggy I was able to grab TQ in the first 2 rounds as the EB48.3 was absolutely on rails like always. In the mains the track got significantly rougher and I made some mistakes early in A1, but drove a flawless race after the 2 minute mark to take the win. A2 went similarly as I lost the lead early only to gain it back and cruise to the win! In Pro4 SC I was also able to grab the TQ in the first 2 rounds. My SCT410.3 was dialed all weekend on the rough track. In the mains I made 2 mistake free runs to take the overall win! After this race I was able to lock up the overall championship for the year. I had a total point score of 403 in both classes with 404 being perfect. 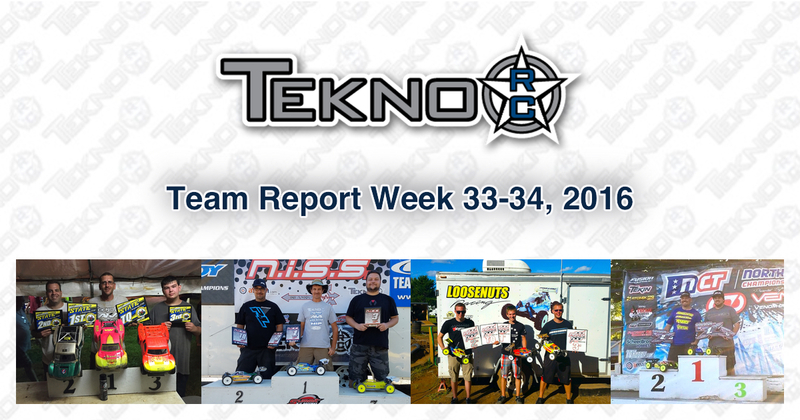 A great season with the Tekno cars! "Wasn't able to go to the first two rounds of qualifying but did make the last one. 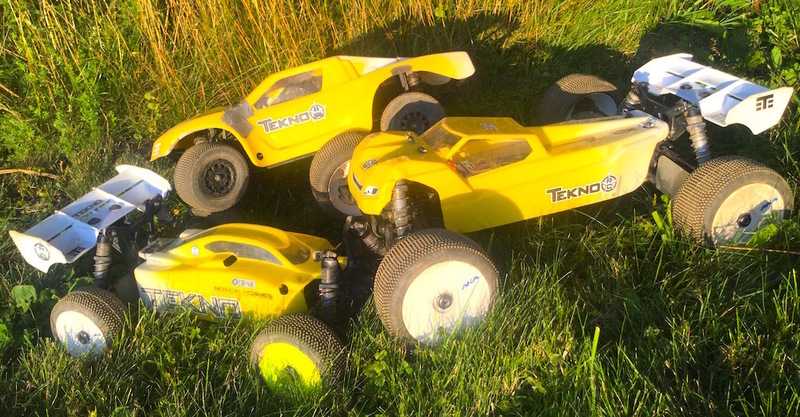 I ran E-Buggy, Pro-4, and Nitro Buggy. I was running TQ in Pro-4 but my car broke a couple laps in. I started 11th and finished 2nd in the A-main very close behind first place. The computer didn't count my Nitro Buggy heat so I had to start last in the A."